The MRT 50 SM Trophy has been such a sales success for Spanish firm Rieju that they have decided to produce the Trophy 2.0. 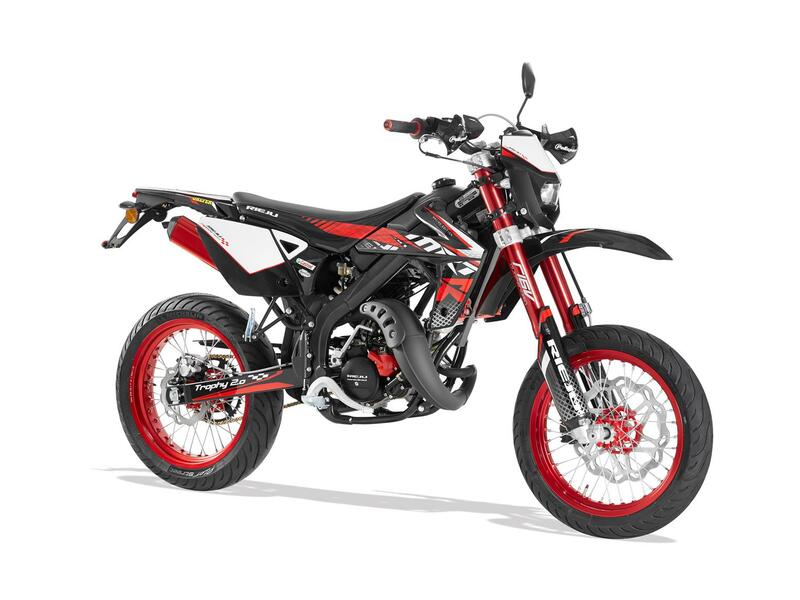 The original Trophy sold all 500 in quick time, so Rieju are manufacturing 1000 of the Trophy 2.0 for the European market – in fact the MRT 50 has been the best-selling geared 50cc bike for the last few years running. The Trophy 2.0 is largely unchanged bar a few small functional and cosmetic changes including a new locking fuel cap, hand protectors, black exhaust headers and a short front mudguard. The price for the bike teenage dreams are made of? £3099 inc. VAT.